This polishing ring is made of cotton cloth with a regular wave fold. It is the most aggressive polishing ring with, at the same time, optimum cooling. 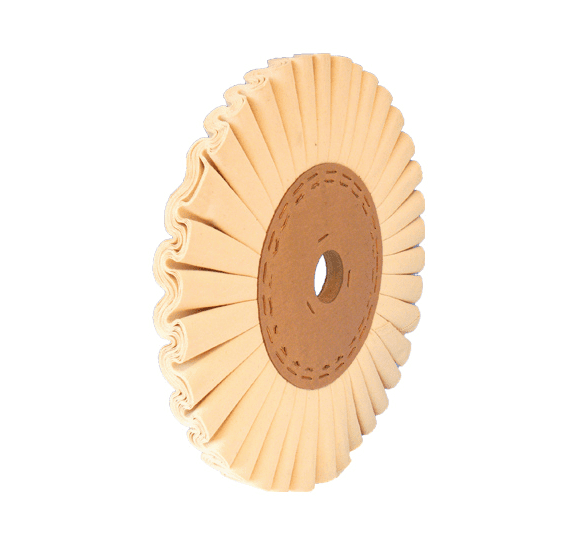 can be used for pre-polishing, polishing and finishing of all flat workpieces. It is used particularly on automated polishing machine, but also when processing manually on a pedestal polisher.